Business owners can enjoy a huge range of options when it comes to the application of parking lot paint. If you worry about the visibility of your parking lot paint, you can have glass beads added for their reflective qualities. Therefore, any traffic paint can be made into reflective paint. If you would like to learn more about your parking lot paint options, or discuss reflective parking lot paint in Waco and Temple, TX, simply call 254-716-8685. At night, any color lines are difficult to see when they don’t contain reflective qualities. Adding reflective glass beads to your parking lot paint can cut down on confusion and miscommunication that can lead to accidents or liabilities. The beaded paint application is also one of the most inexpensive methods for relining your parking lot. While other paint formulas such as thermoplastic paints offer outstanding protection and traffic resistance, they are incredibly expensive. Adhesive lining options can begin to peel and fade quicker than its paint counterparts, leading to more regular replacement. Our experts will evaluate your parking lot and deliver realistic options for your relining job that fit every budget and timeline. Contact us for reflective paint service in Waco and Temple, TX. There are three main sizes of glass bead additives- small, medium, and large. Small beads are ideal for parking lots that need little night or wet reflection such as businesses not open during evening hours. Medium beads are great for projects where slight wet night visibility is needed, but not imperative. When you have high night traffic, you may consider large beads for your reflective parking lot paint. These beads provide the greatest reflectability under wet night conditions and can be reflective through the highest water film level. Your parking lot is the first thing people notice when approaching your business. Our professional parking lot maintenance and painting services can help keep your parking lots presentable and neat. Our professionals will guide you through the painting application process to ensure you get the paint and reflectivity levels you need for your parking lot to be safe and code compliant. 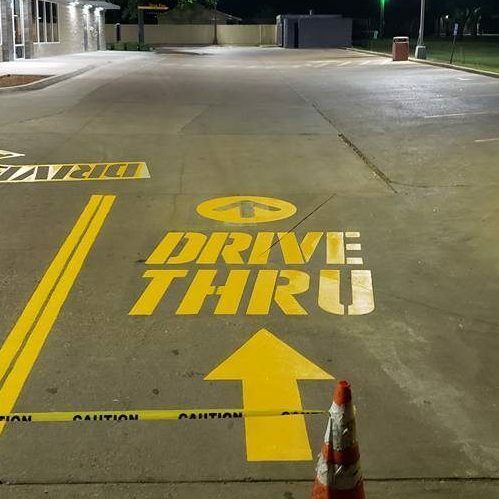 When you need a professional application of reflective paint in Waco and Temple, TX, call our experts at 254-716-8685 for a flawless job, every time. Updated on March 21, 2019 at 1:56 pm by eSquared Asphalt Maintenance.